People from South India traditionally follow a lovely ceremony known as “Saree Ceremony” or Rirusuddhi also known as Ritu Kala Samskara. This is charming occasion where family and friends get together and the spotlight is centered on one person – the young female of the family – celebrating her path to womanhood. 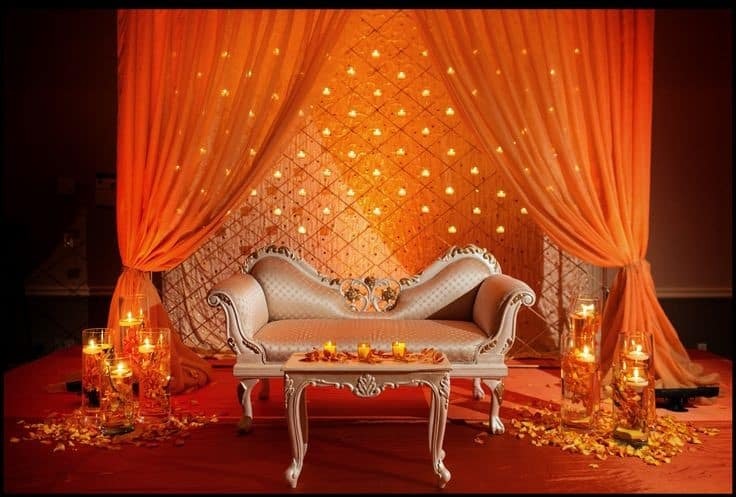 The night is focused on the young girl and she traditionally sits up in a high spot on an exquisite couch behind a decorated backdrop for all to see her as the nights celebrations transgress. 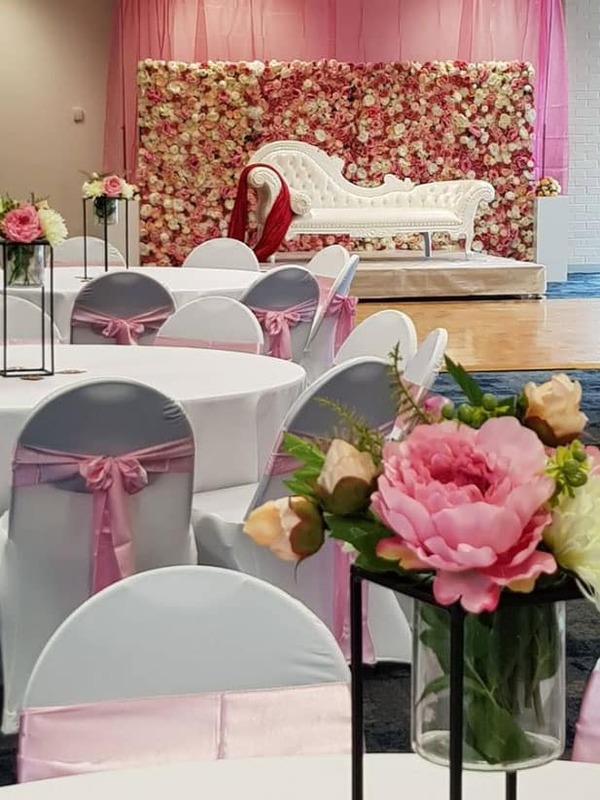 It is very important that the decoration is just right for many reasons but most importantly to ensure photos and videos of the come out just right. Saree Ceremony is the celebration of rite of passage for the young girl when she reaches puberty. Some call it the coming of age ceremony as it signifies to all her friends and family that she has commenced puberty and has had her first menstruation. Traditionally at this celebration the young girl receives as a gift her first Sari signifying her transition into womanhood. Elders, Relatives and friends give her their blessings and shower her with gifts. This is a wonderful tradition that is celebrated all over the world. 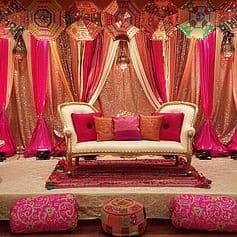 Here in Melbourne – we have set up many functions for Saree Ceremonies in both venues and at private homes. 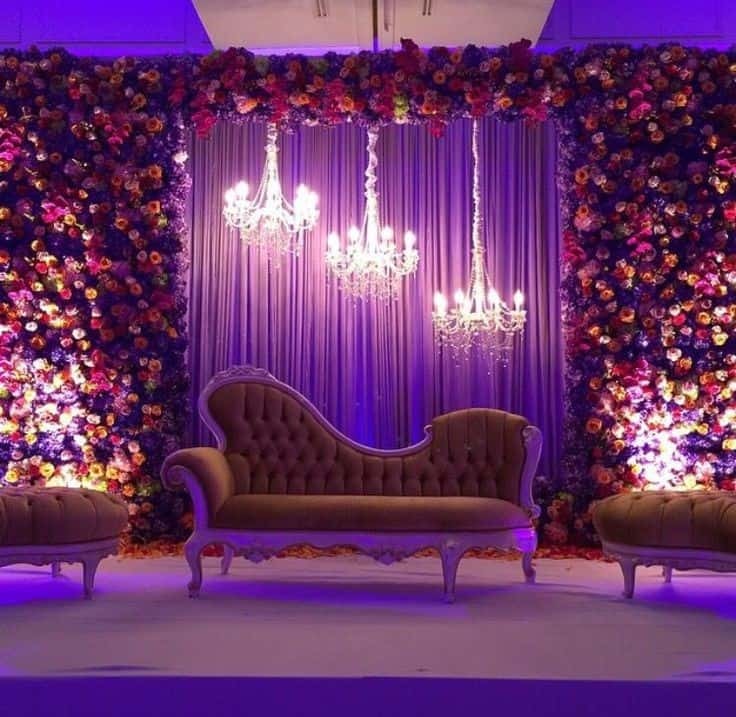 Our Flowerwalls, Peacock chairs and French chaise couches make the perfect setting for the girl and her parents to sit and be admired by the crowd. 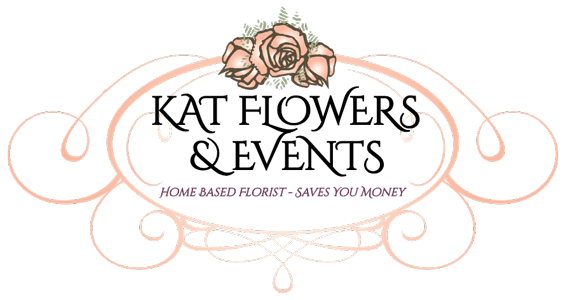 Our table settings, prop hire items and dressing up of the room will ensure the function is a huge success and is admired by all. 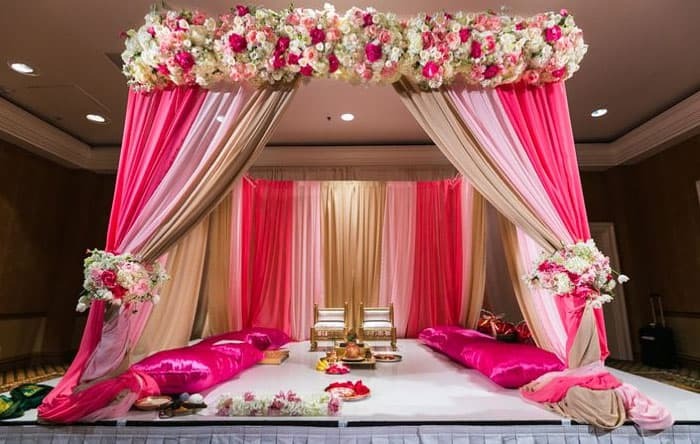 Please contact us to arrange all the decorating for YOUR Saree Ceremony – we are experts and can put everything together in the one place.